Over the past few weeks I’ve been getting the same request from many of you. You see, you’d like my ongoing advice and inspiration, but many of you can’t afford my Private Relationship Mastermind group. And it’s been bothering me! I’ve been trying to come up with a program that gives you MY PROVEN APPROACH TO GETTING THE RELATIONSHIP OF YOUR DREAMS, but is still affordable. And I realize a one-time teleseminar, home study course, or workshop is great for getting information into your hands, but it’s NOT enough to keep your relationship growing stronger in spite of the challenges that life throws at your love life. The key to LONG-TERM relationship success is finding a way to connect and maintain the loving feeling that brought you together in the first place, on a daily basis, in good times and bad. I’ve found one of the best ways to do this, is through the support, encouragement and advice of my “Meet.Like.Love” Relationship Mastermind Group. My “Meet.Like.Love.” Relationship Mastermind Group is one of the most powerful tools you’ll ever experience, because when you connect with me and other like minded individuals focused on having the relationship of their dreams, you’ll tap into unlimited resources that will help you consistently find new ways to improve and enjoy your relationship. I admit I first got the idea for my “Meet.Like.Love.” Relationship Mastermind Group from my private 1-on-1 relationship clients and newsletter recipients. They were so thrilled with the content I presented and the impact I had on their relationships, that they wanted to keep the groove going! At first we started an email discussion list, but it drove people crazy and was hard to manage. Plus they wanted MORE! More content and contact with me and my experts. And the “Meet.Like.Love.” Relationship Mastermind Group was born. As a Member. . .
You Get Specific Answers (and Coaching) to Your Specific Questions! TWICE-MONTHLY LIVE CONVERSATIONS Via Phone/Web With Me and Hand-Selected Relationship Experts. Yes! These sessions are INTERACTIVE! Thanks to All the Networking I’ve Done, I Have Access to The Best Relationship Info and Many Relationship Experts! Not only will I be sharing all my own personal secrets for having a fabulous relationship (like why you should NEVER marry anyone you have not been on a 3-day car trip with where the destination is at least 18 hours away) and unbelievable daily joy, but I’ll also be interviewing experts who are my personal “secret weapons” in keeping my relationship growing stronger each day. If you’re familiar with me whatsoever, you know I network and speak on the same stages with some BIG names. I’ll be sure to pull a few favors to get them on some of my sessions with you. I’ll help you stay motivated and focused on creating and maintaining the relationship of your dreams because we’ll be talking every month! 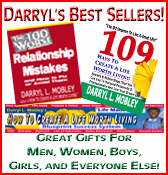 You Can Email Darryl and His Experts Any Relationship Question You Have At Any Time! I know you’re busy and may not have time to make all of our LIVE “Meet.Like.Love.” Relationship Mastermind Group calls. But you don’t have to worry about schedule conflicts, because we record each and every call, and the audio is quickly posted online — usually within 24 hours. You can either listen to it right from the Web page just by clicking the link , or you can download the MP3 file to listen to on your iPod or other MP3 player. And even if you do attend the LIVE calls, these recordings will be great to review — you can refer to the info again and again! 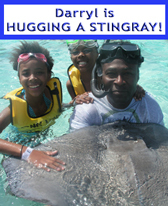 PLUS, I also have a “Meet.Like.Love.” Session Topic Guide available so you can download it in PDF format. This way you can read and follow along with the audio if you wish! A subscription to my “Meet.Like.Love.” Newsletter full of tips and advice on how you can live in love and love the life that you live E-Mailed Directly to Your Inbox each month! 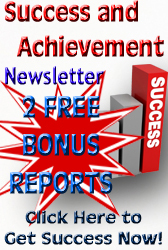 Best of all, you’ll get this hugely popular Newsletter at the end of each month, at no extra charge! You see, I want you to have no excuse not to get your hands on the valuable information we’re sharing. Real life relationships are never as idyllic or easy as the ones we see in movies or on TV. In the real world, great relationships take a lot of nurturing and hard work. But they are achievable and more than worth it. In this program, Dr. Joyce Morley-Ball (my long-time friend and relationship expert), and I WALK YOU THROUGH the day-by-day steps you and your significant other must take to reclaim your relationship and the love that you both deserve. This 10-Day Process will BLOW YOUR MIND! 2. The undisputed FIRST STEP you need to take BEFORE you can begin healing your relationship. 3. Why playing the BLAME GAME gets you nowhere in a hurry. 6. The most important question you MUST ask yourselves before you can begin this journey! 7. Why you should NEVER STOP DATING! 11. How to know when you are back in a real relationship. 12. Why if you can’t make it past Day 5 of this program, Your Relationship Is Over! 13. Why you and your significant other are really together. 15. The secret to resolving disagreements amicably. 16. The BIG LESSON I learned about maintaining a great relationship from studying lousy relationships! Wow – does all of this sound good to you? I knew it would! Why you need to be proactive and not reactive if you want to stay happy forever. How and why you sabotage your own happiness. And other Relationship GOLDMINES such as a powerful self-assessment process, gender roles that cause relationships to fail, how to journal your way to relationship bliss, and more. …so much so, that you could EASILY get through it in LESS than 10 days if you wanted to… but DON’T DO IT. Each step has been carefully designed and timed to give you and your significant other the time to think, absorb and heal before you move into the next phase. I will also include my very popular Relationship Agenda Journal™ that allows you to design the relationship of your dreams. This powerful journal leads you to step-by-step improve and maintain your relationship using the time-proven Socratic Method. 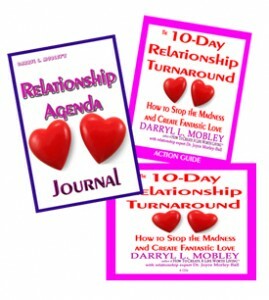 The 10-Day Relationship Turnaround™ Program normally sells separately for $75.97. It’s yours free as part of your membership in Meet.Like.Love. All of this is delivered to you in pdf and Mp3 format during month 2 of your membership. I spoke to thousands of couples, married and single folks to find out the absolute worst relationship mistakes they’d made. I then took the top mistakes to experts and regular people who have successful relationships to find out how to fix the mistakes, or better yet, how to avoid making them in the first place. 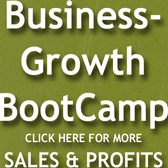 All that invaluable advice is here in this program just waiting for you. So, stop listening to friends who don’t have a relationship or are in a bad relationship themselves. And stop doing the same things you always have done that have led you to the less-than-satisfying relationship(s) you’ve had. Find out what really DOES lead to the relationship you dream of. I’ve got the answers. All you have to do is TAKE ACTION. The One Hundred Worst Relationship Mistakes and How To Fix Or Avoid Them Home Study Course normally sells separately for $67.97. It’s yours free as part of your membership in Meet.Like.Love. All of this is delivered to you in pdf and Mp3 format during month 3 of your membership. Unlimited email access to Darryl via an exclusive members-only email address provided to you once you are a member. In addition, Darryl can and may call you by telephone for a quick and powerful relationship coaching session. 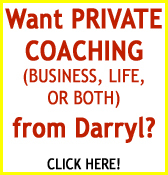 Many believe that their direct one-on-one talk with Darryl – by itself – is worth at least 10X the cost of membership! To activate your membership sign up now below via my secure online registration form. Please understand… I’m assuming ALL the risk and putting myself on the line for you, especially considering how much VALUE I’m delivering. If after the first 60 days you want to cancel your membership, simply let us know via email at the email address at the bottom of this page, and we will STOP charging your credit card immediately. No questions, no hassles, no hard feelings. You must be completely thrilled, or I DON’T want you in my group! That being said, I know that once you experience my “Meet.Like.Love.” Relationship Mastermind Group, you’ll be hooked, because you’ll be blown away at how easy it is to create and sustain the relationship of your dreams when you know what to do and how to do it. 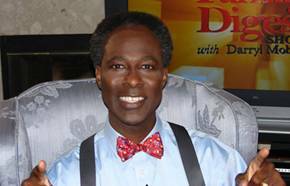 A subscription to Darryl’s “Meet.Like.Love.” Newsletter full of tips and advice on how I can live in love and love the life that I live E-Mailed Directly to InBox each month! Unlimited email access to Darryl via an exclusive members-only email address. 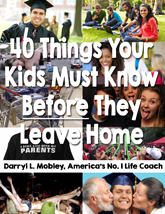 [Value: Darryl is considered one of the best life coaches on the planet and his time is valuable. This special access to Darryl can be used by me to ask any question I (and/or my significant other) have, at anytime of any day. This benefit is FREE to me as a member of the “Meet.Like.Love.” Relationship Mastermind Group . In addition, I agree that Darryl can and may call me by telephone for a quick and powerful relationship coaching session. [Value: Darryl is routinely paid more than $1,000 an hour for his relationship advice. 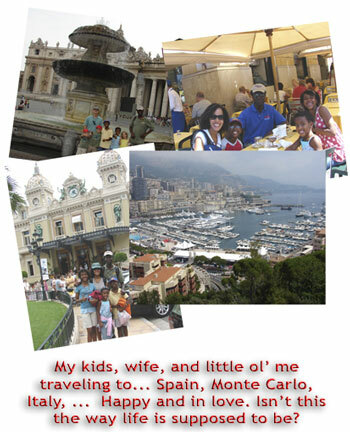 This benefit is FREE to me as a member of the “Meet.Like.Love.” Relationship Mastermind Group . I understand that I’m investing in my own relationship future and your “Meet.Like.Love.” Relationship Mastermind Group, at NO RISK whatsoever, because I can cancel my membership at anytime after 60 days. I also understand that if I choose to cancel my membership I will lose all access to these privileges at that time, AND if I choose to cancel and then choose to re-join, I am not guaranteed a spot back in the group or membership at this low introductory rate. I’m assured this online transaction is 100% secure and after my information is received I will get an electronic receipt and instructions within a few minutes. NOTE: This SPECIAL offer is only good for first-time members. 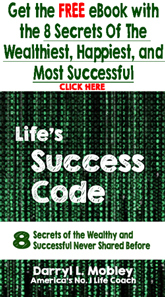 If you have already been a member and would like to RE-JOIN the Mastermind (smart move! 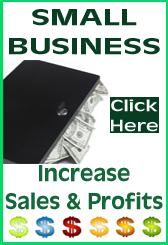 ), CLICK HERE to rejoin now at the regular $97.00 monthly rate. I hope to hear YOU on our NEXT MASTERMIND CALL, so we can get you charged up and MOVING toward relationship BLISS! I’m not sure how many more people we can fit in, but I want YOU to make sure you get in on this NOW. PS – Remember this is totally at MY risk. If you’re not ecstatic about my “Meet.Like.Love.” Relationship Mastermind Group, you can ask to drop out at ANY time. But you need to reserve your spot now! TM © 1993-2010 Darryl L. Mobley. All Rights Reserved. Legal Disclaimer: Every effort has been made to accurately represent our product and it’s potential. Any examples or claims made of actual results can be verified upon request. The testimonials and examples used may be exceptional results, and are not intended to represent or guarantee that anyone will achieve the same or similar results. Each individual’s success depends on his or her background, dedication, desire and motivation.